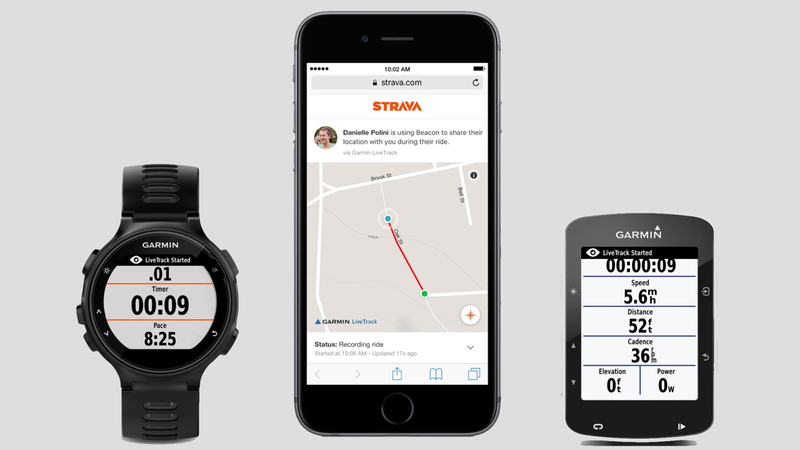 Strava released its safety feature Beacon over the summer through the Android and iOS app but now you'll be able to use it on select Garmin devices. Using Beacon, users can choose up to three safety contacts who will receive a text message with a unique URL when an activity is started. Safety contacts can click the URL to track the runner on a map in real time, as well as view the remaining battery power without needing their own Strava account to see the information. Beacon also saves contact settings, allowing runners to use it during future activities with one tap. Read next: Which Garmin is right for you? The Garmin trackers you'll be able to use the feature with include the Edge 520, Edge 820, Edge 1000, Edge Explore 820, Forerunner 230, Forerunner 235, Forerunner 630, Forerunner 735XT and Fenix 3. Beacon will sync up with Garmin's LiveTrack to work. It should also be noted that Beacon is for Strava Premium members only. If you're concerned about safety on runs, the monthly membership costs $6 while an annual fee is $59. In addition to Beacon you'll also get real-time feedback, coaching and more with the service. Or if you'd prefer a one-time purchase of a safety device, we've compiled a list of handy personal safety wearables for you.